We offer a tempting menu of great-value treatments you won’t find just anywhere in Warrington - and special spa breaks and packages include use of the gym, pool, steam room and sauna. 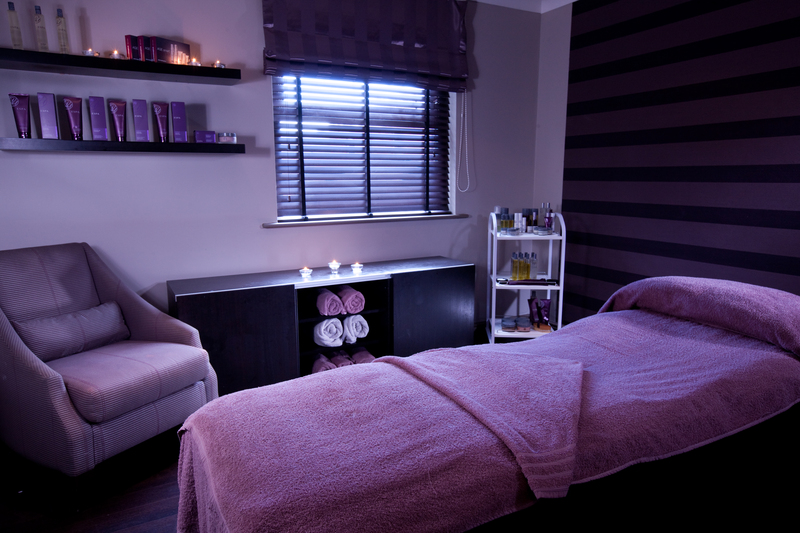 Whether you’re staying with us or you’re a local, you can relax and enjoy your spa day in Warrington. And if it’s your big day - or you’re getting ready for a very special night ‘on the toon’ - there’s no better place. Village Spa offers pure escapism along with practical, therapeutic and rejuvenating treatments using ESPA, High Definition, Nouveau, Jessica & St Tropez products. Thank you for the 5* review of your recent spa treatments Caron. We will be sure to pass your great feedback onto our team and we look forward to welcoming you back to Village Spa Warrington again soon. Thank you for the 5* review of your recent spa treatments Nina. We will be sure to pass your great feedback onto Lauren and we look forward to welcoming you back to Village Spa Warrington again soon. Great treatments, we were left feeling so relaxed. Clean changing room and facilities. We were really well looked after by staff, and were very pleased the bar offered vegan food options for us. Would highly recommend. Thank you for the 5* review of your recent spa treatments Julie. Staff are always polite and friendly, Justyna listened to my needs and delivered a wonderfully, relaxing hot stone massage. Thank you for the 5* review of your recent spa treatments Helen. We will be sure to pass your great feedback onto Justyna and we look forward to welcoming you back to Village Spa Warrington again soon. lauren was lovely and the treatments i had (back massage and facial) where too! highly recommend. Thank you for the 5* review of your recent spa treatments Alexandra. Amazing ! Was made to feel so calm , relaxed and comfortable . Thank you for the 5* review of your recent spa treatments Nadine. We will be sure to pass your great feedback onto Ashleigh and we look forward to welcoming you back to Village Spa Warrington again soon. Thank you for the 5* review of your recent spa treatments Fiona. Thank you for the 5* review of your recent spa treatments Louise. Thank you for the 5* review of your recent spa treatments Kelsie. Absolutely perfect. My therapist Hayley was so friendly and welcoming. I chose to have the leg massage that I found so relaxing and would highly recommend. Will definitely be returning. Thank you. Thank you for the 5* review of your recent spa treatments Donya. We will be sure to pass your great feedback onto Hayley and we look forward to welcoming you back to Village Spa Warrington again soon. Thank you for the 5* review of your recent spa treatments . Booked as a present for myself and my daughter. The whole Spa Day experience was dreadfull. Couldn't access the pool as there was an exercise class on. Small pool was full of parents and young children screaming. Steam room broken. Workmen walking through the pool / spa area opening fire exit and leaving it open. There was mould on the tiled walls and the rail around the jacuzzi was full of rust. Lunch was sandwiches barely filled with tasteless tortilla chips. This was in the Sports bar which was not relaxing. When I gad my treatment. All you could hear was the banging from the builders. Immediately after my treatment the fire alarm when off. When it was established that the workmen has caused it we were allowed to go back in. We just wanted to go home. The therapists were very professional and really enjoyed treatments. Thank you for the review of your recent spa treatments Julia. We will be sure to pass your feedback onto our team and we do hope to see you back with us soon. Had a lovely treatment. Very relaxing. Myself and my friends were looked after so well. Justina and Ashleigh were great. Thank you for the 5* review of your recent spa treatments Andrea. Lovely massage, great spa facilities. Would recommend. Thank you for the 5* review of your recent spa treatments Samantha. Thank you for the 5* review of your recent spa treatments Georgina. Wonderfully relaxing! Really worked on my sore spot. Amazing - will definitely be back! Thank you for the 5* review of your recent spa treatments Hannah. We will be sure to pass your great feedback onto our therapist and we look forward to welcoming you back to Village Spa Warrington again soon. Justina is always prompt and efficient. Her consultations are very informative and she gives excellent treatment and advice on every occasion. Thank you for the 5* review of your recent spa treatments Ann. Thank you for the 5* review of your recent spa treatments Susan. We will be sure to pass your great feedback onto Karolina and we look forward to welcoming you back to Village Spa Warrington again soon. The treatment was lovely as were all the staff. The day unfortunately didn't quite go to plan. The noise from the building works wasn't as relaxing as planned and my mum's treatment wasn't completed due to the noise. We did eventually manage to sort out an alternative day to come back. Would also be good to be informed of classes going on in the pool as aqua aerobics was on when we first went in the pool. We also had to keep getting out of the jacuzzi when it timed out for cleaning. During lunch my sister's didn't arrive and had to be chased and was cold when it eventually came. All small things but added together just added to the disappointed sorry. Thank you for the review of your recent spa treatments Paula. We will be sure to pass your feedback onto our team. Apologies some of your experience wasn't as expected. We do hope to see you back with us soon.